“Let justice roll down like waters”: The Role of Spirituality in African American Environmental Activism in the U.S. South brings together activists, spiritual leaders, and academics to explore the intersections of race, environmental activism and spirituality. From the times of slavery through the Civil Rights movement, spirituality has played a critical role in the radical activism of African Americans in the U.S. At the same time, spirituality has remained an understudied component of environmental activism. Through this conference, we intend to explore the role of spirituality among African Americans in environmental activism, and in the process, expand our understanding of environmental activism. The panel session will be open to the public. The second day of the conference will build on the themes introduced in the opening panel. It will be devoted to idea sharing, paper presenting, and collaborative learning, including sermans, op-eds, think pieces, academic writings, and other form of expression prepared in advance by conference participants. We will also have plenty opportunities for people to share best practices and vision for the future. The conference will conclude with a vision session for the future where both academic goals and community based goals will be discussed. The conference is organized around regional clusters to help to facilitate work beyond the conference. Opening Reception: 5:00 pm – 6:00 pm; Plenary: 6:00 pm – 7:30 pm; Thursday, March 1st, 2018; Ekstrom Library Chao Auditorium at the University of Louisville. Dr Ihsan Bagby is an associate professor of Islamic Studies in the College of Arts and Sciences at the University of Kentucky. His research for the past ten years has focused on Muslims in America. Cassandra Henderson is a licensed and ordained minister, visual and performance-based artist, activist, scholar, community organizer, and entrepreneur. She is currently the Pastor for BTKids + Student Ministries at The Breakthrough Fellowship in Smyrna, GA.
Dr Brandon McCormack is an assistant professor in the University of Louisville’s Department of Pan-African Studies. His research interests focus on the intersections of Black Religion and Cultural Studies. Cassia Herron is the Research Manager for the Transdisciplinary Social Justice Research Consortium. She is a community development professional and advocate with over ten years of experience. Dr. Priscilla McCutcheon is an Assistant Professor at the University of Louisville with joint appointments in Pan African Studies and Geography/Geosciences. Her research broadly focuses on the intersection of race, food/agriculture, and space. She is currently working on an archival project on Fannie Lou Hamer’s Freedom Farms. Dr. Ellen Kohl earned her Ph.D in geography from the University of Georgia. Her research focuses on how intersecting forms of oppression affect the human-environment interactions and how knowledge is produced in the science-policy interface. Dr. Kohl is an Assistant Professor of Environmental Studies of St. Mary’s College of Maryland. Tanisha Stanford is a graduate student at the University of Louisville in Georgia. Her thesis is centered on exploring the socio-psychological experiences of the African American grandmothers as critical members of the black family. 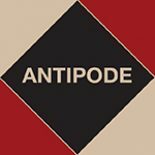 As well as the Antipode Foundation, the conference is supported by St. Mary’s College of Maryland Environmental Studies Program (ENST) and University of Louisville Pan- African Studies.